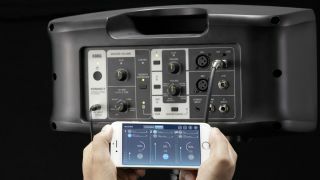 NAMM 2018: Korg’s Konnect is a portable PA that can be used in variety of situations. Housed in a single unit, you could use it for small-room live performances, DJing, at a party or anywhere else you might require it. The sound is said to be both loud and clear, and you get source-specific EQ presets. What’s more, once you’ve downloaded the Konnect app you can control the unit from your mobile. You can also stream music wirelessly over Bluetooth. Find out more below and on the Korg website. The Konnect costs £449 and will be available this month.